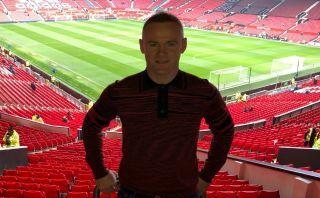 Manchester United legend Wayne Rooney has shared a photo of himself back at Old Trafford today for Ole Gunnar Solskjaer’s first home match as interim manager. The Norwegian tactician got off to a great start last week with a 5-1 win over Cardiff City, and will be hoping to continue today with what looks an easy game on paper. For now, the feel-good factor has certainly returned to United following the dismissal of Jose Mourinho, with Rooney clearly keen to get a taste of the atmosphere back at his old club. The former England international played alongside Solskjaer around a decade ago now and will be hoping to see his old team-mate do a good job in his brief stint in charge.